I was very disappointed with this book especially after reading the title and the inside cover. The book was basically a regurgitation of known facts. The only time any conspiracy is discussed is in the epilogue at the end of the book. 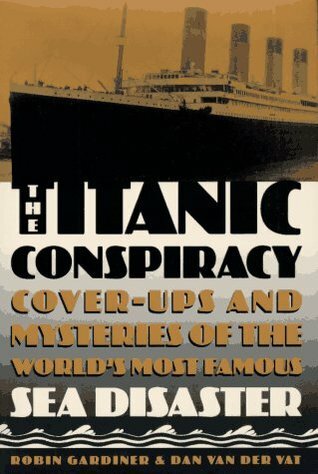 I am probably spoiled by the fact that I had previously read a book by John Hamer that discusses the conspiracy of the Titanic, and the entire book is about the conspiracy. Even in the epilogue of this book the authors seem to debunk the conspiracy theory. This book was originally published in 1995, and apparently Mr. Gardner has written two other books since that purport to support the conspiracy theory. I may read them, still undecided though.